"Asian Gong", textured, pierced, and bezel set. 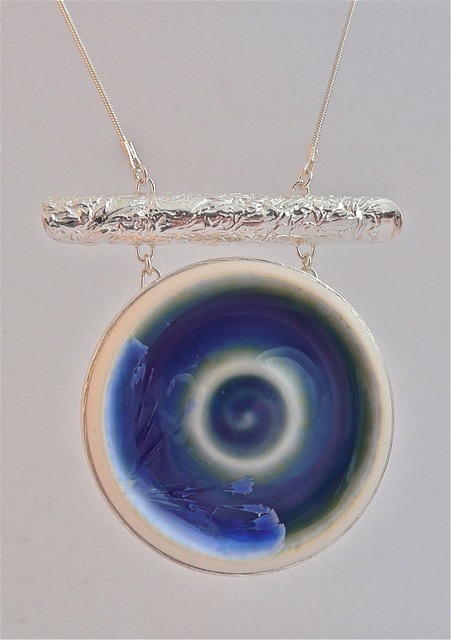 Fine silver (pmc), sterling silver, porcelain cabochon (by Alexis Templeton), 3.5" x 3", 18" chain, 2012. Sold.